Home Persistent Lower Back Pain Even With Treatment? Rolfing™ Can Help! Persistent lower back pain is one of the most common body complaints that people have today. Sometimes attributed to stress, work or injury, this pain often drives people to seek professional help from doctors or chiropractors and some even pursue medication, physical therapy, and surgery to find relief. However, even after extreme measures, some may find that the pain persists despite their efforts. While there can be many causes for lower back pain, one of the lesser known but frequent culprits is a problem with the connective tissue system that runs throughout the body. 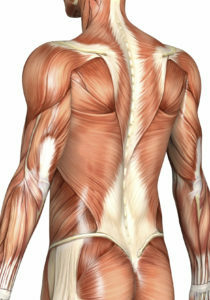 Connective tissue, sometimes referred to as the fascia, connects all of the bones, muscles and systems, and it is what holds the body together. Just like every other part of the body, the fascial system can encounter problems which in turn, can throw the entire body out of alignment, leading to posture problems, balance issues and even lower back pain. Unless the problems with the fascial system are corrected, the pain cannot be completely resolved through conventional means. One of the keys ways to correct problems with the fascial system is structural integration, also known as Rolfing™. A structural integration practitioner uses targeted treatments and methods that are designed to correct connective tissue problems, and bring the body back into proper alignment. Among the back issues that are targeted by Rolfing, scoliosis, poor posture and persistent lower back pain are very common. Whether correcting a fascial problem from an injury, or just correcting an existing imbalance, a Certified Advanced Rolfer may be able to provide relief from back pain, especially if all other avenues of treatment have failed. As a trusted and recognized Rolfer in Los Angeles, Bob Alonzi has built his practice on the belief that no one needs to suffer needlessly from pain. He understands how frustrating it can be, especially when conventional treatments fail because they don’t really address the true, underlying cause. To learn more about how Rolfing can help alleviate lower back pain and bring the body back into balance, contact Bob and get started on the road to true wellness.